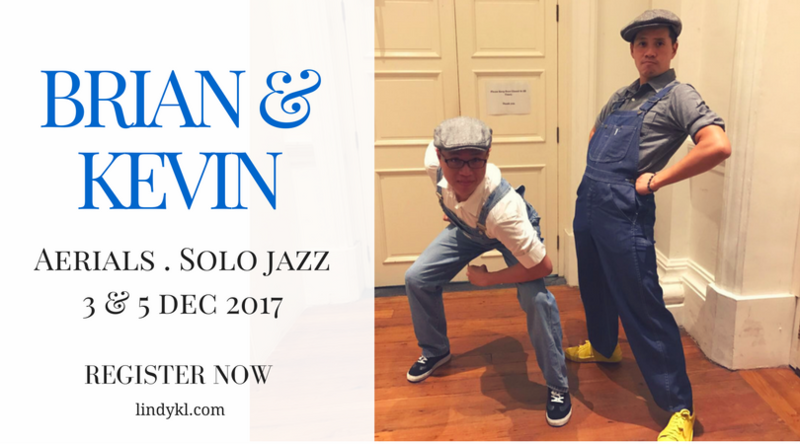 Brian and Kevin are no strangers to the KL Lindy Hop scene! Returning from competing at ILHC 2017 they will be here to show off their Solo Jazz Moves and also by special request the much awaited Aerials class. He has made a name for himself in social/improvisational dancing for these Swing Era dances. Brian has a talent for breaking down and articulating concepts for students. He teaches and performs regularly in Singapore and has also been invited to Hong Kong, Taipei and Beijing to teach.